A new study suggests that exposure to air pollution may increase the rate of atherosclerosis. People who are regularly exposed to air pollution may be more likely to develop atherosclerosis or 'hardening of the arteries', a study has revealed. A large body of previous research has shown links between exposure to air pollution and an increased risk of heart attack and stroke. Now, scientists at the University of Michigan say this could be due to accelerated thickening of the inner layers of the common carotid artery, which carries blood to the head, neck and brain. They also observed that as concentrations of fine particulate air pollution (PM2.5) fell over time, so did the rate of blood vessel thickening. 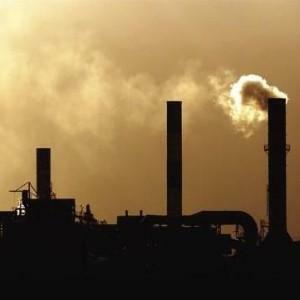 Professor Sara Adar, whose findings are published in the journal PLoS Medicine, believes the study could help to explain the frequently observed link between air pollution and poor cardiovascular health. She said: "Our findings help us to understand how it is that exposures to air pollution may cause the increases in heart attacks and strokes observed by other studies." The study, which followed more than 5,300 people between the ages of 45 and 84, also revealed that people living in polluted urban areas may have a two per cent higher risk of stroke than those in less polluted parts of town. "If confirmed by future analyses of the full ten years of follow-up in this cohort, these findings will help to explain associations between long-term PM2.5 concentrations and clinical cardiovascular events," Professor Adar added. Scientists have been investigating the links between air pollution and increased cardiac death rates since the early 1950s, when the association was first recognised. Research by Professor David Newby, at the British Heart Foundation Centre of Research Excellence in Edinburgh, suggests that air pollution may also thicken the blood and increase the risk of clotting. People who are concerned about the effects of air pollution on their blood vessels and their overall cardiovascular health may want to consider trying a natural product such as NKCP NattoTabs, which contains an enzyme extracted from a Japanese delicacy made from fermented soybeans. Nattokinase is sometimes used alongside conventional cardiovascular therapies, as research suggests it may help to thin the blood and prevent the formation of clots. NKCP is a high-quality, second generation version of Nattokinase.